Prize provided and fulfilled by by Killington Resort. If you live in the New England region are looking for fun, affordable family getaways this summer, look no further than Killington Resort in Vermont. But wait, isn't Killington a ski resort? 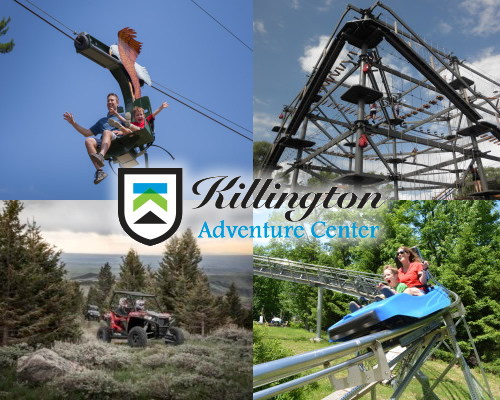 While that is very much true and what it is known for, in the warmer months Killington now offers their new Adventure Center, with activities for all ages to enjoy. 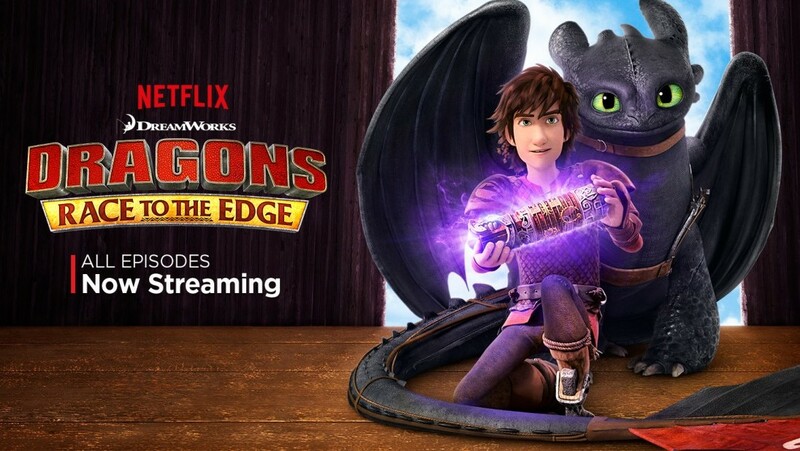 The new Adventure Center features 8 new attractions including an Alpine Mountain Coaster (opening late July), Skyride zipline, Terra-Maze and so much more. Each activity may be purchased individually but for maximum savings you can purchase an Adventure Center Day Pass. Add three rides on the Beast Coaster for a total of $59 (ages 7+.) Beast Coaster opening in late July. My family is headed there next week for some fun outdoor adventure and we can't wait! I am looking forward to some much needed nature time with my boys away from screens and electronic distractions. Though the procrastinator in me does need to scramble and get us some hiking shoes before we hit the trails. I myself am looking forward to the scenic rides up the mountain and then hiking our way back down and the Skyride zipline sounds awesome. 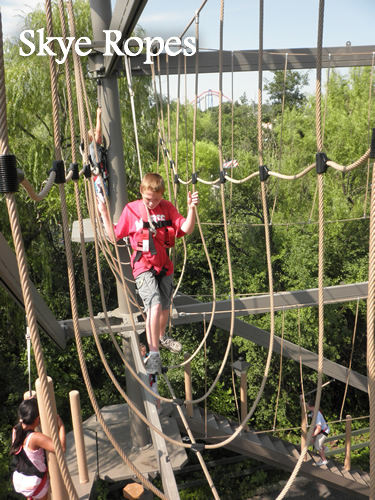 My boys will most definitely enjoy the Terra Maze, with 5,000 square feet of feet-on-the-ground exploration fun. And I think I can get my ten year old to give the Skye Ropes a try (I'll watch from the ground, thank you very much). We're going to try and hit as many of the activities as we can that the kids meet the rider requirements for, so be sure to look for my review later in July! Travel, meals and lodging are NOT included in this giveaway. Giveaway is open to US residents only and will end on July 12, 2015 at 12:00AM EST. Winner will be notified via email and has 24 hours to claim prize before it is forfeit and a new winner is drawn. Please use the Rafflecopter form below to enter.